I don’t usually put a Christmas wreath on my front door, but this year I decided I would. In my craft cupboard I had a load of coloured felted acorns I’d made for a previous craft project, I decided to use them for my wreath. To show off these cute acorns I used twigs spray painted white as the base of my wreath. 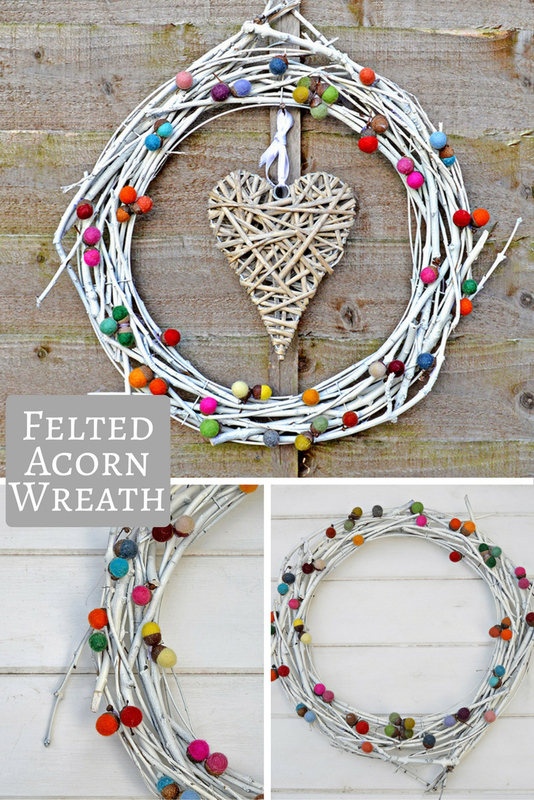 Not only does this acorn wreath look great it’s quick, easy and cheap (my favourite kind of craft). Twigs; I just gathered an assortment on my daily dog walk. You want ones that have a bit of give in them as you will be bending them, and they should be at least a couple of feet in length. Acorn husks; again gathered on my daily dog walk. An assortment of coloured felt balls mine were approximately 15mm in diameter. 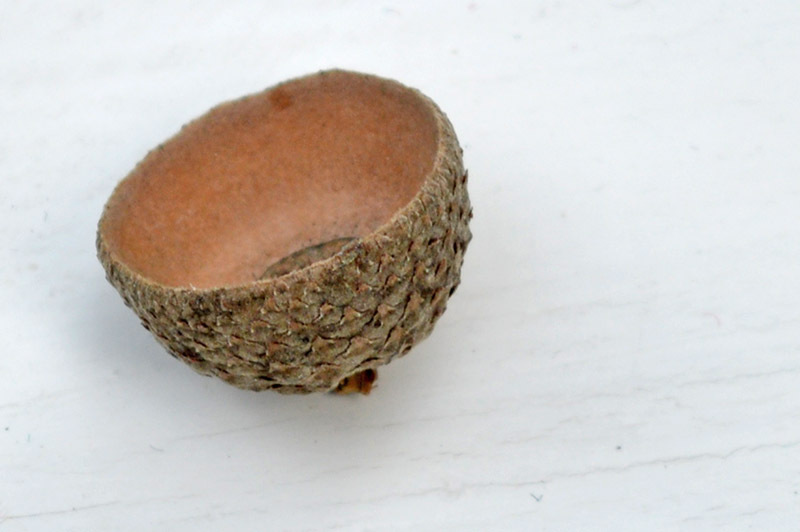 Basically you want felt balls that will fit snuggly into your acorn husks. Glue gun, or strong clear glue like UHU. 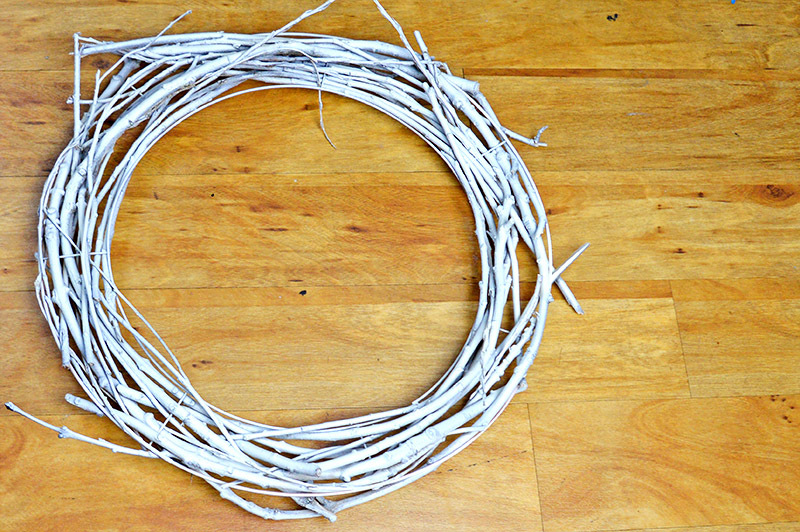 First make your wreath base by weaving your twigs into your wire wreath ring. 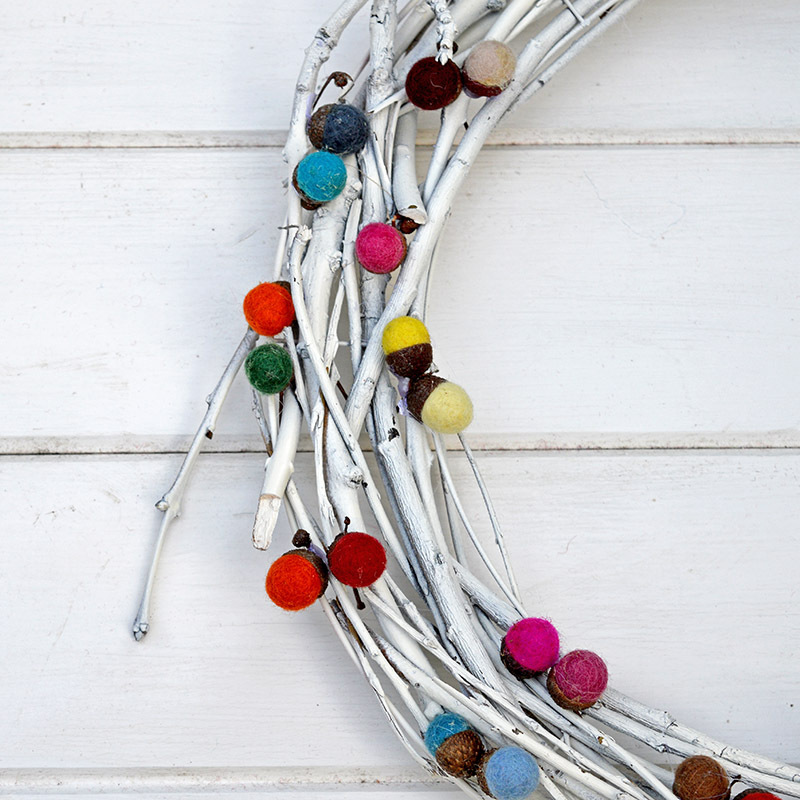 Once you are happy with the amount of twigs in your wreath, spray paint the whole thing white. 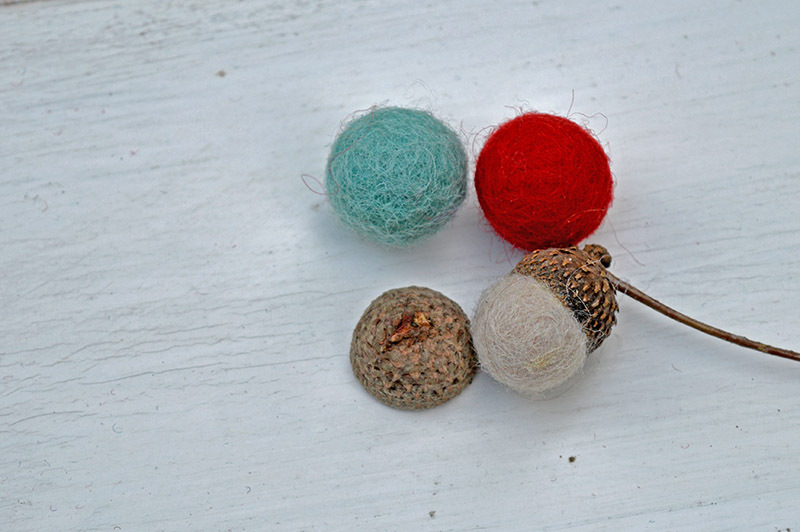 Making the felted acorns is really easy. 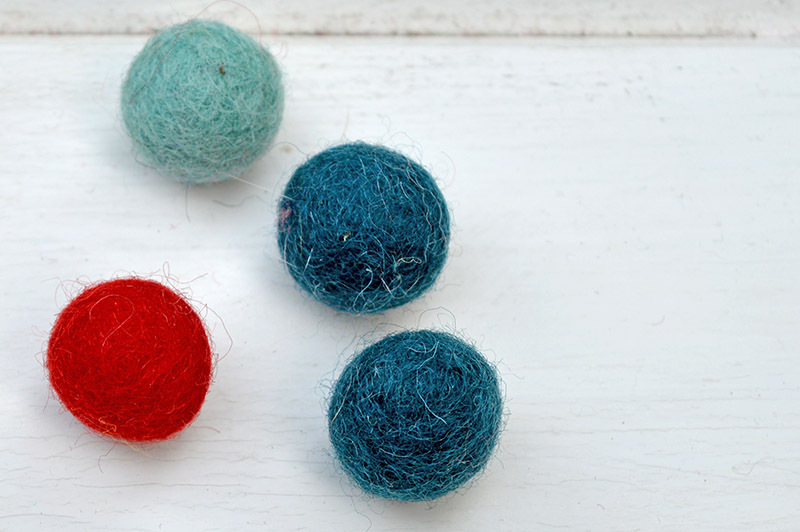 Dip your coloured felt balls in water to wet them. This enables you to squeeze them into more of an egg shape. Then all you have to do is to glue them into your acorn husks. If I’d known making a wreath was so easy I would have done one before. I like all the different coloured acorns, I think they really stand out against the white. Handmade Holidays Nov. 23: Wonderful Wreaths | Sew Mama Sew | Outstanding sewing, quilting, and needlework tutorials since 2005. This is such a lovely wreath! I love the colorful acorns! Thanks for sharing at Submarine Sunday!! Your wreath is so cute! 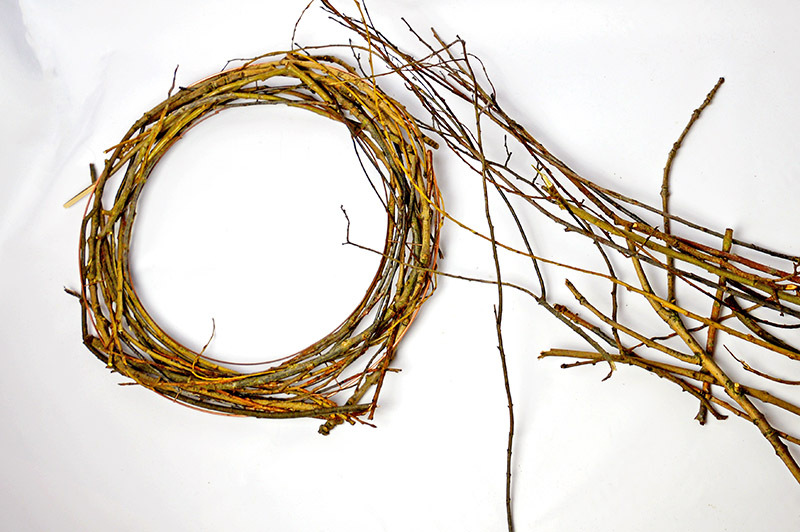 You’ve definetly inspired me to try and make my own wreath from twigs. Thank you ! It was surprisingly easy you should give it ago ! This is beautiful! I love the white twigs and those acorns are fantastic. Thank you ! I’m pleased how it turned out the acorns stand out against the White. This is just so cute! Thanks for sharing at My Flagstaff Home! What an adorable wreath. Absolutely love it! Thanks for sharing! Cheers and thanks for the kind words ! Claire this is such a sweet idea! 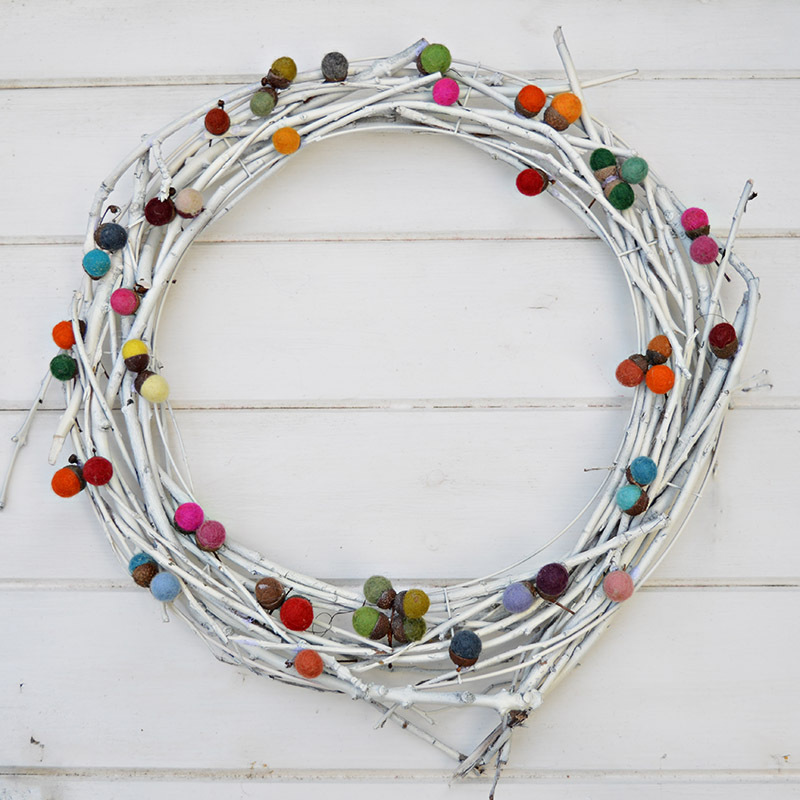 What a fun cheerful decoration for christmas or even just winter in general! Thank you so much for sharing and inspiring us this week at Making Broken Beautiful! I hope you have a very Merry Christmas! Thank you ! Merry Christmas to you too ! That is the most adorable wreath I have ever seen! I love your little felted acorns— Just absolutely adorable! I love the colors of the acorns and the white twigs. Love it! Cheers ! Thanks I just love colour ! This is an amazing idea! Thanks for sharing. Hi, I’m Anita visiting from Thursday Favorite Things Blog Hop. Thank you ! It was really simple to do. 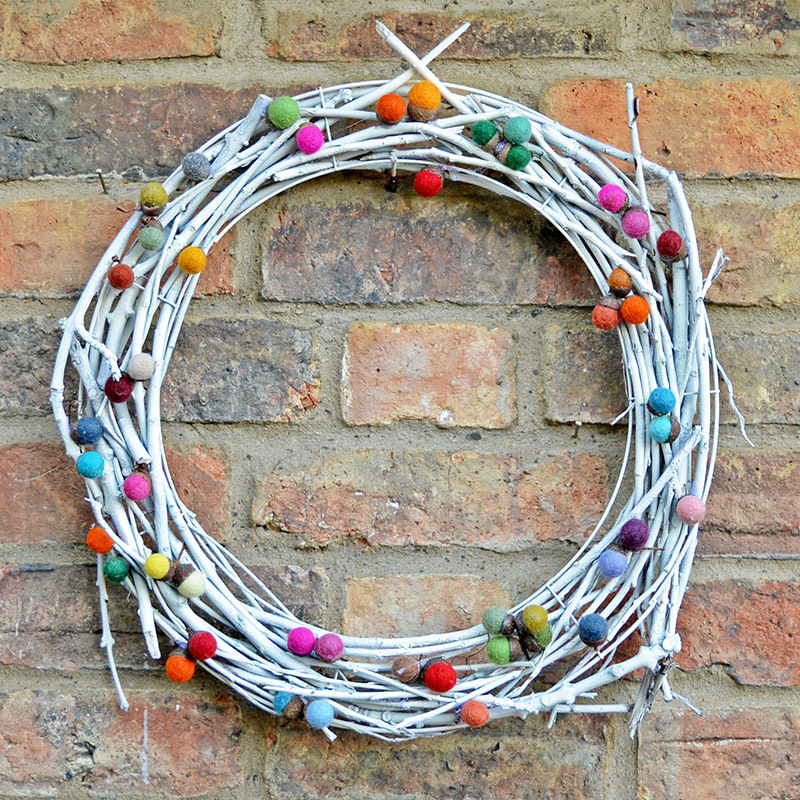 What an absolutley simple and yet striking wreath. Love the white color that lets the yarn acorns pop!! Do you also have a tutorial for the heart in the middle? Thanks for sharing all your unique crafts with us. Thank you very much ! Love my colour. Sorry I don’t have a tutorial for the heart as it was a gift from a friend. This is amazing! You have done such a great job. Thank you for sharing! Cheers ! I’m glad you like it. That’s pretty! I love the pops of color! Thanks ! I know I just love bright colourful things.